Congratulations to Stuart and Joan Mitnick on their 40th Wedding Anniversary. They celebrated with all of their children, spouses and grandchildren with a week at Long Beach Island, New Jersey in August. Visiting from Israel for family getaway are their son and daughter-in-law Josh Mitnick & Lesley Benedikt with their two children Tal and Maayan. The home team included daughter Carrie Mitnick, as well as daughter and son in law Julie and Marc Leber and their son Max. 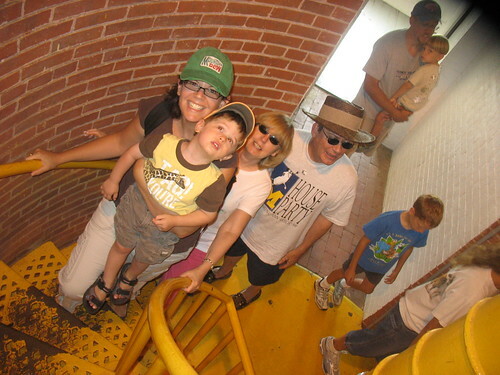 Coming up the steps of Barnegat Lighthouse are Lesley Benedikt and Tal Mitnick, 3, and grandparents, Joan and Stuart Mitnick. 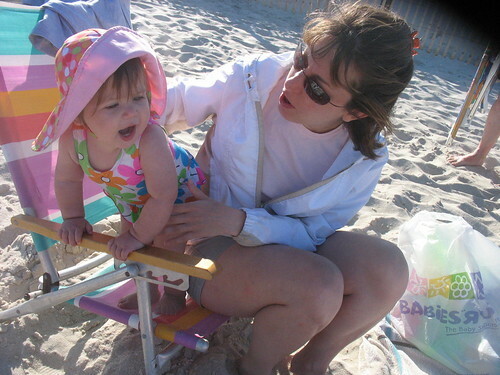 Enjoying a day at the beach are Maayan Mitnick, 1, and her Aunt, Carrie Mitnick.